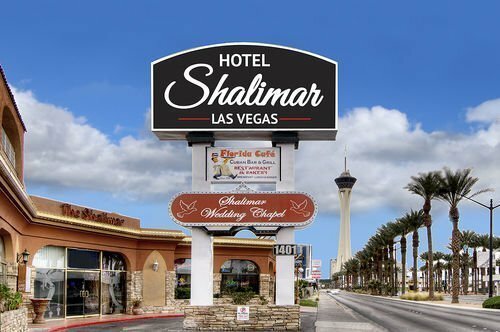 The Shalimar Hostel, 1401 Las Vegas Boulevard South, an excellent choice for anyone on a budget, providing an affordable bridge, between hostels for backpackers and more expensive hotels. 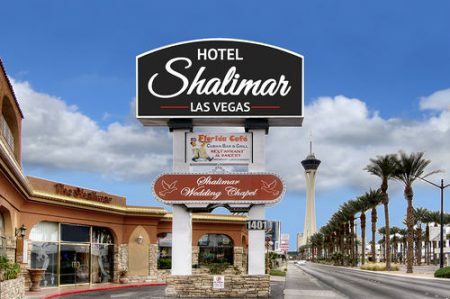 The Shalimar Hotel of Las Vegas is located Downtown within three minutes’ drive of the world-famous Las Vegas Strip, this makes it a great choice for anyone who wants to experience the magic that the entertainment capital of the world has to offer, without breaking the bank. The hostel provides a number of great amenities for guests, which enhance its offering for both pleasure seekers and more business focused customers, including: a refreshing outdoor pool, where you can cool-off during the hot Nevada days, a fully equipped business center, which provides access to photocopying and faxing facilities, along with all the usual things that you would expect, like free easily accessible WIFI and complimentary parking. The hostel also has its own bar and lounge area, where you can grab a thirst-quenching drink or meet like-minded travelers. 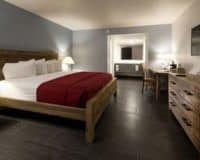 The rooms are comfortable, providing everything that you could ask for, including a comfortable bed, television with cable equipped and an en-suite bathroom. In addition to this, each room has air-conditioning ensuring that you won’t overheat in the desert. 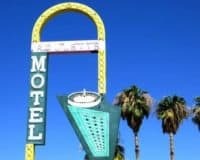 This makes the Shalimar Hostel of Las Vegas an excellent choice for anyone who is visiting Las Vegas on a budget, providing an affordable bridge, between hostels for backpackers and more expensive hotels. This makes it ideal for a range of people including older travelers, business people and customers. 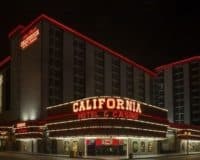 Within 1 mi (2 km) of Little White Wedding Chapel and Las Vegas Premium Outlets. Within 3 mi (5 km) of the Las Vegas Convention Center and Fashion Show Mall.